Hi there! Today I’m sharing my review for PD Singer’s new release, OTTER CHAOS. This is a super fun contemporary M/M shifter romance which features an otter shifter! In Colorado. Oh, the powder. Except, there isn’t any powder, just conniving werewolves and one mixed up otter. I adored! Check out the excerpt and giveaway, too! What do wolves care for stupid human rules, an otter who’d barely make a good snack, or one pesky human determined to protect the environment? Once they’re snout to snout with Corey and Lon, there’s more than silverscale dace on the Endangered Species List. 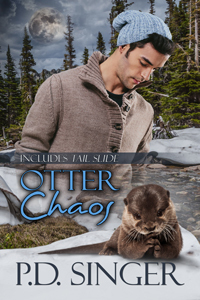 Includes Tail Slide, the short story that launched Otter Chaos. This is a sweet and different M/M shifter romance. Lon and Corey are newly coupled–just moved in together–and are working out all the kinks. As is normal for a new couple they need to figure out who’s gonna do the household chores, and how they’re going to manage car use and date night activities–but these “usual” issues are complicated by one simple fact: Lon is an otter shifter. Every week he needs to spend some time in his otter form, 1-5 hours generally scratches that itch, while longer than 12 hours of otter fun has Lon lost in a haze between both worlds where the water is his best friend and all he wants to do is play. See, when he’s an otter, Lon’s really an otter–lost in his otterness. He hunts and behaves like and otter–even if it means eating the decorative koi he and Corey put into the pond out back, or shredding all the toilet paper rolls in the house. In his human form, Lon’s a loan officer for a Boulder bank, and he’s not happy when a trio of werewolves appear at his desk for a loan to fund building the Full Moon Conservancy on forestry land. Lon knows that the property is part of the protected habitat of the silverscale dace, an endangered indigenous fish, and that’s part of why he declines to approve the loan–approval can only come after the environmental impact studies. What I really enjoyed about this story is the in-depth characterization of Lon, and Corey. They both have to deal with the otterness of Lon, and Corey’s doing his darnedest without knowing truly how to help Lon. Because Lon’s pretty protective about the ins and outs of shifting. In some ways it seems that Lon doesn’t actually KNOW the answers to the questions Corey poses, because he’s a whole different being as an otter and this is not translatable. 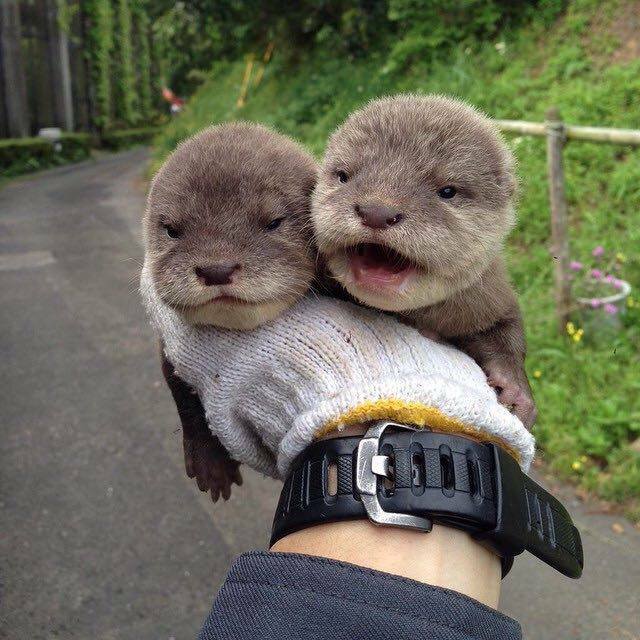 Like, there aren’t words much when he’s an otter. And, if he’s an otter for several hours Lon loses his ability to speak when he pulls his fur back. As Lon deals with the werewolves, Corey tries his best, though it’s not good enough. Lingering effects of shifting threaten to pull Lon into otterness forever, and it’s all Corey can do to keep him on this side of the pelt. It was a great psychological story, and I loved the development of the relationship between them. Poor Lon, who loves the tasty koi! Poor Corey, who doesn’t know how to deal with a truly wild mate! They are a great pair. The pace of the story, and the switching POV both hit the mark for me. I liked the sexytimes, and the emotional context for this couple felt right. They are still getting acquainted–they’ve only dated a couple of months, and the growing pains of coupledom had authenticity. Seriously, this book is filled with cute. I loved the short story, TAIL SLIDE which is part of the book, and gives up the skinny on how Lon and Corey met and fall, quite literally, for one another… D-lish! Interested? 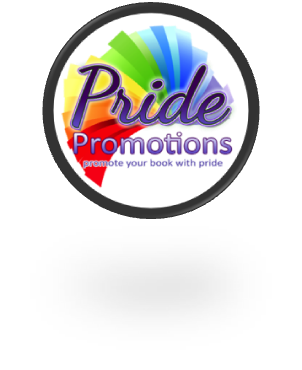 You can find OTTER CHAOS on Goodreads, Amazon, AllRomance eBooks, Smashwords, Rocky Ridge Books, iTunes, Kobo, and Barnes & Noble. Catch Ms. Singer online on her website, email, Facebook, twitter, and Pinterest.